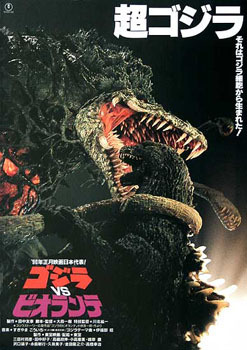 Godzilla vs Biollante (1989) – SKREEONK! Its less than stellar performance at the box office in Japan notwithstanding, I actually think this is one of the best Godzilla films in the entire 28 (as it stands currently) Toho Godzilla movie series. For one thing, the plot is a lot more interesting and topical than the traditional monsters from outer space or the like. Terrorism, tensions between various regions of the world, it all is more relevant than other science fiction elements surrounding time travel or alien invasions. The basic plot elements from the movie were actually the work of someone outside Toho. 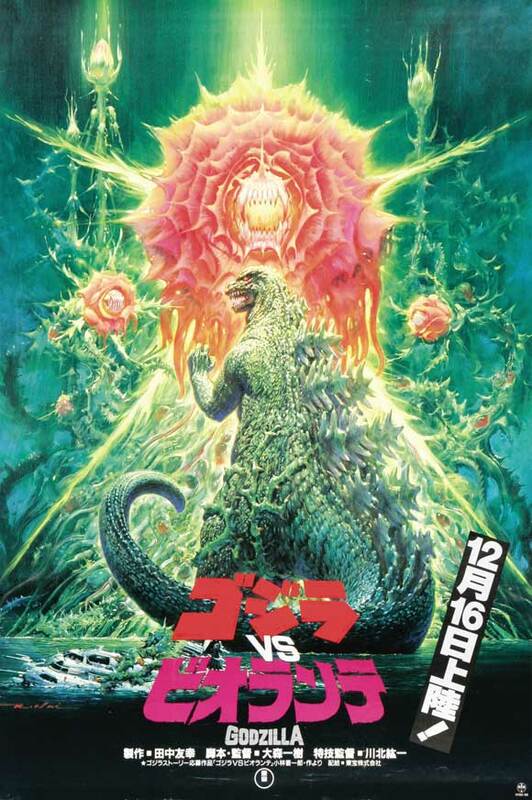 Toho held a contest and the winning script was Godzilla vs Biollante, though it was given a hefty overhaul before the final movie we received in 1989. 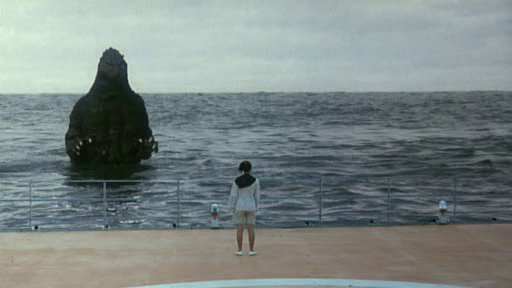 This movie’s essential originality from most other Godzilla movies stands out, and this is probably why. Again, it’s a shame that this movie didn’t fare better financially. Biollante herself is a wonder all her own, and she just might be the most original creation that is featured in a Godzilla movie. Her second/final form is amazing looking. Her final form continues to hold the record for largest Toho monster in size and weight. As a bit of an aside, it’s a darn shame that Toho perceived Biollante’s box office performance to indicate that audiences wanted to see almost exclusively Showa series monsters that Godzilla has already fought (multiple times in some cases). 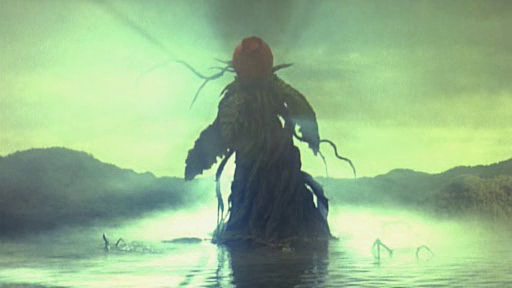 Biollante is also presented very well in terms of special effects; actually, that goes for the rest of the movie. Rarely do we get such well done special effects in a Toho movie (for its time). Godzilla has one of the nicest suits we have ever seen, from the overall proportions to the details like his teeth and tongue. Well done, Toho. Downsides? Well, there is arguably too much going on for the humans. The new young military general heading the Super X II and greater anti-G mission seemed to be unnecessary for this film. It’s just something that could’ve been trimmed being that it didn’t add to the film in my opinion. Conversely, I wish they’d have explained a bit more regarding the agent following the agents following the G-cells (did you catch that?). It isn’t confusing in the film, but it could’ve been finished/explored a little better. With these subplots all occurring, character development suffers a bit, so it’s unlikely that you’ll get attached to any of them. My last complaint may seem slightly immature, but a little more monster action between the two giants would’ve been appreciated. The first battle only lasts a few minutes and the final one doesn’t even hit five minutes. At least what we do see is interesting! 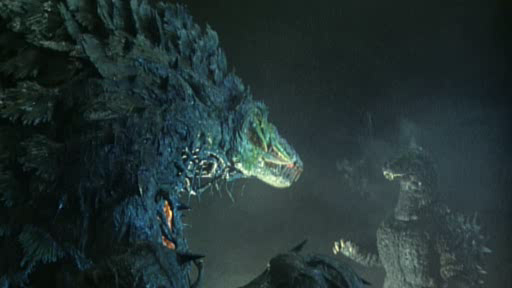 Godzilla vs Biollante earns one of the highest ratings I have given any Godzilla movie. It’s arguably a must see for anyone interested in giant monster movies, not just Godzilla. Perhaps that’s the real message I’d like to convey. It’s actually a good giant monster film, with no need to follow it up with something like “for a Godzilla movie”. The real downside with this movie has nothing to do with the movie itself. You will only find official VHS copies if you’re a region one consumer (American or Canadian). That’s a real bummer in a world that upgraded to DVDs years ago. I still have my VHS copy (in widescreen! ), but I’d really like them to offer region one DVDs and Blu-Rays. Posted on October 11, 2011 2 By Jon D. B.	Kaiju Movie Reviews! Posted in Kaiju Movie Reviews!, Toho Movie Reviews! Pingback: The “Dengeki Hobby Book: Heisei Godzilla Perfection” to be released February 10th! « SKREEONK!